A Fruit Pastilles Ice Lolly flavour. The taste of Summer even in the Winter! 10ml Base Liquid of your choice. (12.5ml Total) - Large Letter Post Box Friendly. The 15ml & 30ml Flavour Concentrate Bottle will have a plastic stopper under the cap to prevent leakage, (and for ease of removal), simply remove pour in your TPD Compliant Base Liquid and replace with pointed tip (supplied). The 50ml Flavour Concentrate Bottles will require you to remove the pointed tip already fitted and replace once your TPD Compliant Base Liquids have been poured in. To make your E liquid, open the flavour concentrate liquid cap, remove the inserted stopper (discard), pour in your nicotine base shot (4 x shots for the 50ml bottles) into the flavour concentrate bottle, fit the supplied pointed dripper, screw the cap back on, shake and you are good to go. Some flavours especially Custard's, Puddings, Fruits etc will benefit from Steeping. Note - By adding the flavour concentrate to the nicotine base liquid you will slightly reduce your overall nicotine content. This should not be that noticeable and you may have to increase slightly the power on your vaping device to compensate. Should you require your liquid to have more flavour then may we suggest you purchase some of our concentrate, the link is below under related products. 3ml Sample Bottles are available of this flavour, they are now in the Zero Nicotine section Link below. Note :- Any quantity discounts are based on the concentrate part of the order and not the nicotine shot. Note, the TPD (especially article 20 regarding vaping) is a EU directive that forces people to buy more tobacco (minimum 20 cigarettes or minimum 30g of loose leaf) but then forces consumers to buy smaller bottles of E Liquid (10ml maximum) where previously we were able to sell what ever quantity customers wanted. In the UK the MEP's that overwhelmingly voted for this were Labour, Lib Dem but of more concern is ALL the Green Party MEP's voted for this (5 of them) their vote for this has effectively forced us to increase by over 3.5x the amount of plastic used to accommodate this new "North Korean" style law & also not very Green! CiggyJuice Premium Brand Concentrate. 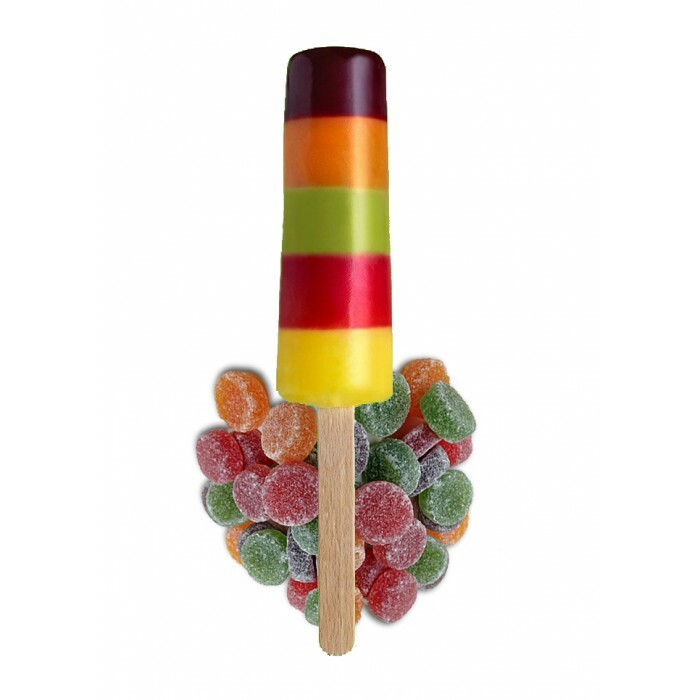 *** NOTE THIS IS NOT A FINISHED E LIQUID IT IS JUST THE FLAVOUR..
Tornado Ice Lolly flavour!Choose from 4 different type of PG/VG mix Available in the following size..
A Fruit Pastilles Ice Lolly flavour. The taste of summer even in the winter!Choose from 4 different ..
CiggyJuice Premium Brand Concentrate.A Fruit Pastilles Ice Lolly flavour. The taste of summer even i..